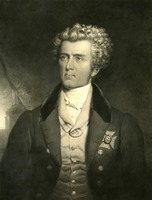 DOEL, JOHN, brewer, businessman, and politician; b. in 1790 in Wiltshire, Eng. ; d. in Toronto, Ont., 9 Feb. 1871. 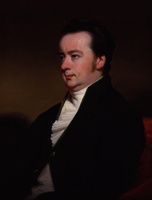 John Doel emigrated about 1817 to Philadelphia, where he may have become a bookseller. He had married Hannah Huntly in England three years earlier, and they were to have five children. The family arrived in York, Upper Canada, on 5 Nov. 1818. For a time Doel was employed to deliver uncalled-for letters but he soon established a brewery at the rear of his home. This, along with profitable investments in real estate, provided him with a comfortable living. 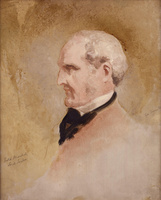 A radical Reformer in politics, Doel was a critic of Sir Peregrine Maitland*’s administration of 1818–28 and in 1828 was a supporter of Judge John Walpole Willis in the controversy surrounding him. St Andrew’s ward elected him in 1834 to the Toronto City Council, where he voted for William Lyon Mackenzie* as mayor; he was reelected in 1835. 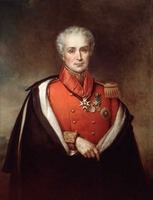 Doel refused to sign the council’s complimentary address presented to Lieutenant Governor Sir John Colborne* when Colborne retired the next year, and he did sign a sarcastic protest delivered to Lieutenant Governor Francis Bond Head in 1836 after the latter had replied in an insulting manner to an address from the House of Assembly. Doel was a close associate of Mackenzie. When the latter needed to borrow from the Bank of the People to sustain his second newspaper, the Constitution, Doel endorsed one of his notes and subsequently lent him other sums. On the eve of the rebellion, the Reformers held several important meetings at Doel’s home and at his brewery. There he signed the declaration of the Toronto Reformers drawn up on 28 July 1837, and moved the resolution that Reformers refrain from the consumption of dutiable imports so as to diminish the government’s revenue. He was a member of the vigilance committee named on 31 July. It is usually stated that when, in October, Mackenzie presented his plans for seizing the lieutenant governor and establishing a provisional government, Doel would not assent to them and took no part in the uprising. There is some evidence, however, that Mackenzie’s supporters in Toronto used Doel’s brewery as a gathering place as late as 5 December. Doel was arrested three times, and on each occasion imprisoned for several days; his home was subjected to repeated searches and soldiers were billeted with the family. After Mackenzie’s flight from the province, Doel had to make good on his note held by the Bank of the People. Mackenzie’s property was attainted, but the crown permitted his creditors to make good their claims against him. 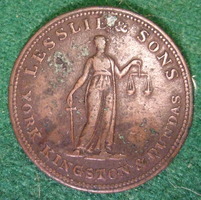 In 1839 James Lesslie*, on behalf of himself and other creditors, obtained a judgement in the Court of Queen’s Bench against Mackenzie. In 1845, after the crown granted Mackenzie’s lands to Lesslie in trust to sell so that the proceeds could liquidate the judgement, Doel bought Mackenzie’s two town lots in Dundas and his lot in Garafraxa Township (now East and West Garafraxa) for £81. When Mackenzie returned to Canada in 1850, Doel sold him the property back for £200. This was a generous settlement, being less than the total sum Doel had spent for the property, interest, and taxes, as well as the original loan and the debts to other creditors of Mackenzie which he had paid. Doel indeed accepted £50 in cash and a note on the balance. He thus helped Mackenzie meet the property qualifications for a member of the Legislative Assembly. Doel remained a Reformer after the rebellion although he did not take an active part in politics. He did, however, sign the resolutions critical of Sir Charles Metcalfe*’s administration drawn up by the Reform Association of Canada in 1844. He continued to operate his brewery until it was burned on 11 April 1847. He had been a member of the first Methodist Episcopal church erected in York in 1818, and he was a trustee of the Toronto General Hospital. When he died in 1871 his funeral was attended in a body by the York Pioneer Society of which he had been a member. PAO, Mackenzie-Lindsey collection, especially f.2540; Misc. 1896, “Rev. John Doel’s recollections of the rebellion of 1837 and ’38.” Globe (Toronto), 10 Feb. 1871. Charles Lindsey, The life and times of William Lyon Mackenzie; with an account of the Canadian rebellion of 1837, and the subsequent frontier disturbances, chiefly from unpublished documents (2v., Toronto, 1862), II, 52. Town of York, 1815–1834 (Firth), 118. T. E. Champion, The Methodist churches of Toronto (Toronto, 1899). Dent, Upper Canadian rebellion, I. E. C. Guillet, The lives and times of the Patriots; an account of the rebellion in Upper Canada, 1837–1838, and the Patriot agitation in the United States, 1837–1842 (Toronto, 1938), 192. Landmarks of Toronto (Robertson), I, 50–55. Scadding, Toronto of old, 309–10. Sissons, Ryerson, II, 59. Bruce West, Toronto (Toronto, 1967), 111, 113. Lillian Francis Gates, “DOEL, JOHN,” in Dictionary of Canadian Biography, vol. 10, University of Toronto/Université Laval, 2003–, accessed April 24, 2019, http://www.biographi.ca/en/bio/doel_john_10E.html.